Despite having said that we don't really do much for Valentine's, this year Kyle booked us a night in a B&B in Northumberland which was just wonderful. We both needed a bit of a break and this trip was just what we needed. 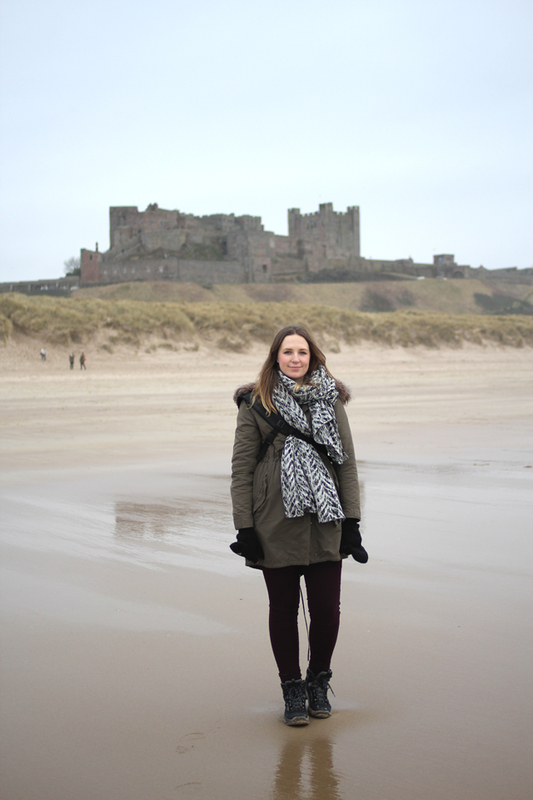 We spent the afternoon walking along Bamburgh beach. 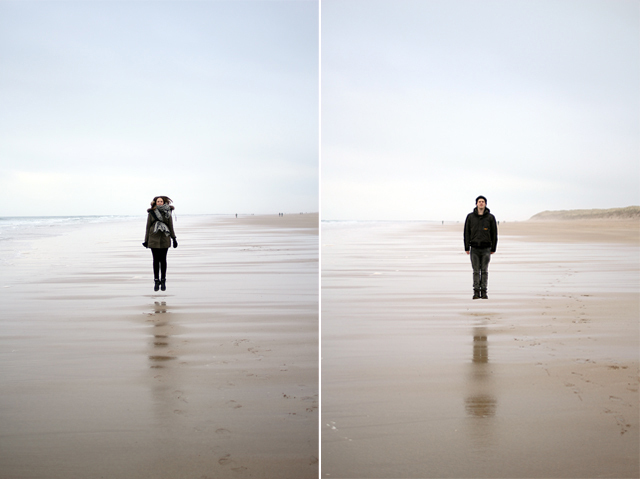 The weather was foggy which made the large expanse of sand almost glass-like and the whole experience especially atmospheric. We may have taken advantage of the glassiness and mucked around with my camera for a while. I'm showing once again why I fail at fashion with my snazzy camera bag strapped over the top of my scarf/blanket. 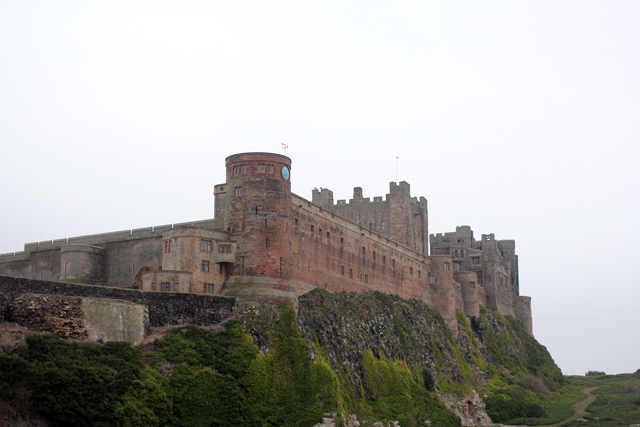 Bamburgh Castle sits on the edge of the dunes and is one of the most striking buildings I've seen. It and can be seen for miles (when the weather is fine) and is such a contrast to the long, bleak beach. 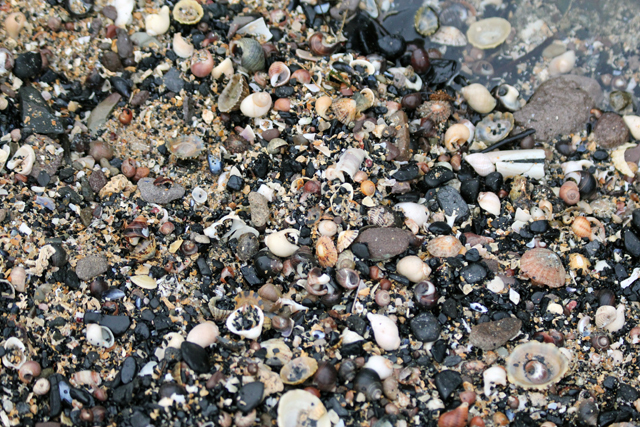 Towards the end of the beach is a lighthouse on a rocky outcrop, below which are many rock pools both large and small. 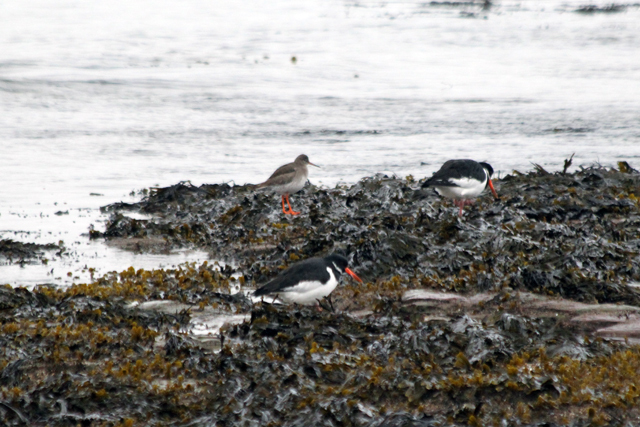 At the edge of the ocean were lots of sea birds including oyster catchers and sandpipers, who were searching for food in the pools and amongst the seaweed. 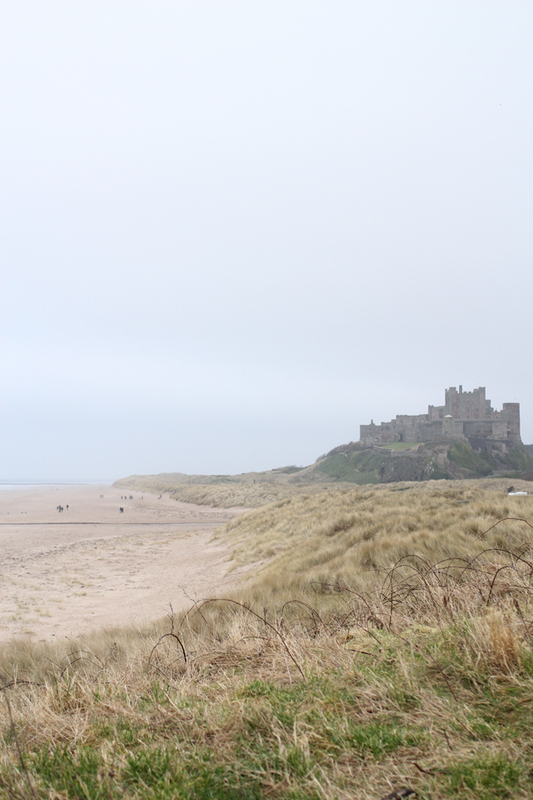 We walked back through Bamburgh to the car before driving to Seahouses, a neighbouring town, for a late lunch of fish and chips. Once we'd finished we left for the B&B, a converted barn in the middle of nowhere and completely idyllic. A three and a half hour journey, plus a lot of fresh air left us rather drowsy and pink-cheeked. We shared a bottle of fizz, some snacks and one too many chocolates in place of going and sitting in a restaurant. It really was a perfect day. 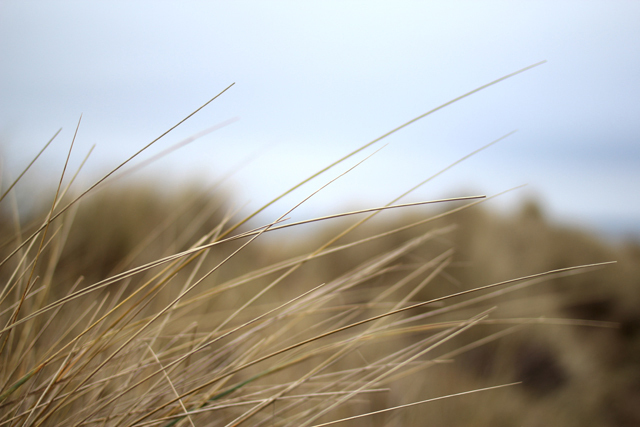 Wonderful photos, and I love fish and chips at Seahouses! 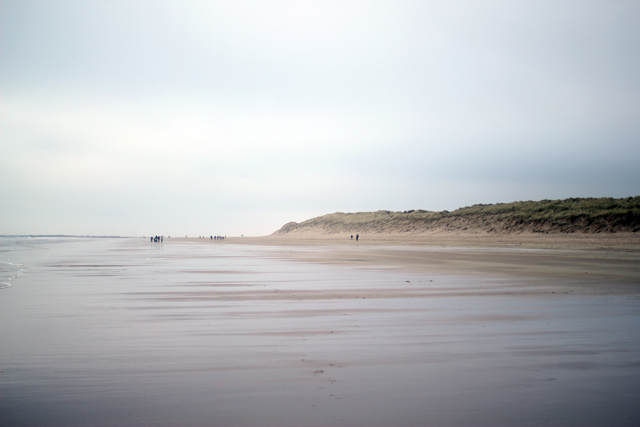 We went to Northumberland last Easter and had a lovely time, somehow when the weather is a bit wild it feels more appropriate to be exploring the beaches there. Have you visited the castle? It is simply wonderful and well worth it! I can't wait to visit again as out last trip here wS a fleeting one when our son was only a few months old! Ahhhhh. These pictures make my heart ache. I'm from Northumberland that this makes me miss home terribly. I am glad you enjoyed it !